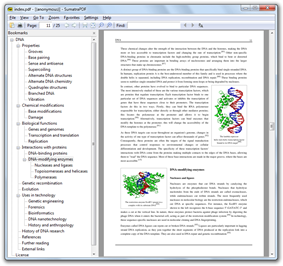 SumatraPDF, also known as Sumatra, is an open source PDF reader for Microsoft Windows. The program also opens Open XML Paper Specification, DjVu, EPUB, XPS, FB2, CHM, CB7 CBR CBT CBZ, MOBI and PRC files. It is written primarily by two contributors: Krzysztof Kowalczyk and Simon Bünzli. Sumatra has a minimalistic design, with its simplicity attained at the expense of extensive features. For rendering PDFs it uses the MuPDF library. Sumatra was designed for portable use, as it consists of one single file with no external dependencies, making it usable from an external USB drive, requiring no installation. This classifies it as a portable application. As is characteristic of many portable applications, Sumatra takes up little disk space. In 2009, Sumatra 1.0 had a 1.21 MB setup file, compared to Adobe Reader 9.5's 32 MB. The installed size is 8.2 MB, whereas Adobe Reader XI requires 320 MB of available disk space. The PDF format's usage restrictions were implemented in Sumatra 0.6, preventing users from printing or copying from documents that the document author restricts, a form of Digital Rights Management. Kowalczyk stated "I decided that [Sumatra] will honor PDF creator's wishes". Other open source readers like Okular and Evince make this optional, and Debian patches software to remove these restrictions, in accordance with the open source principles of interoperability and reuse. Up to Sumatra 1.1, printing was achieved by transforming each PDF page into a bitmap image. This resulted in very large spool files and potentially slow printing. Since Sumatra 0.9.1, hyperlinks embedded in PDF documents have also been supported. Sumatra supports SyncTeX, a bidirectional method for synchronizing TeX source and PDF output produced by pdfTeX or XeTeX. SumatraPDF is written in the C++ programming language (some components it uses are written in the C programming language) and the source code is provided with support for Microsoft Visual Studio. As it was first designed when Windows XP was the current version of Windows, Sumatra initially had some incompatibility issues with earlier versions of Windows. Support for Windows 95, 98 and Me has since been dropped completely. Kowalczyk did not release a 64-bit version of Sumatra initially, indicating that while it might offer slightly more speed and more memory available, he believed at that time that it would greatly add to user confusion and that the benefits would not outweigh the potential costs. However, some users requested 64-bit builds of Sumatra and other developers had compiled unofficial 64-bit builds which loaded documents faster than the 32-bit builds. However, the official builds' developer had requested that unofficial builds did bear the 'Sumatra' name. In October 2015, an official 64-bit version of Sumatra was released. The source code can be downloaded either via its Subversion development repository or as a tarball. The Sumatra source code is hosted on Google Code and because of US export legal restrictions is thus not available "in countries on the United States Office of Foreign Assets Control sanction list, including Cuba, Iran, North Korea, Sudan and Syria." 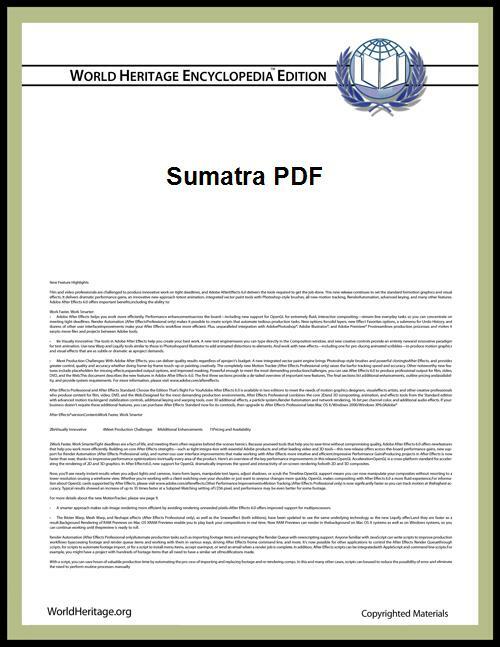 The first version of Sumatra PDF, designated version 0.1, was based on Xpdf 0.2 and was released on 1 June 2006. It switched to Poppler from version 0.2. In version 0.4 it changed to MuPDF because of speed improvement and better support for the Windows platform. Poppler remained as alternative engine for a while, and from version 0.6 to 0.8 it was automatically used to render pages that MuPDF failed to load. Poppler was removed in version 0.9, released on 10 August 2008. In July 2009 Sumatra PDF changed its license from GPLv2 to GPLv3 to match the same license change on MuPDF. Version 1.0 was released on 17 November 2009 after more than three years of cumulative development, and version 2.0 was released on 2 April 2012, over two years after the release of version 1.0. The first unofficial translations were released in 2007 by Lars Wohlfahrt before Sumatra PDF got official multi-language support. The author has indicated that the choice of the name “Sumatra” is not a tribute to the Sumatra island or coffee, stating that there is no particular reasoning behind the name. Sumatra has attracted acclaim for its speed and simplicity, for being portable, its keyboard shortcuts and its open source development. At one time the Free Software Foundation Europe recommended Sumatra PDF, but removed its recommendation in February 2014, due to the presence of the non-freely licensed unrar code in Sumatra. Free Software Foundation Europe representative Heiki Ojasild explained, "while they continue to make use of the non-free library, SumatraPDF cannot be recognised as Free Software". Unrar was eventually replaced with a free alternative in version 3.0, making it 100% free software. ^ a b c (2011-09-27). "The Sumatra PDF Open Source Project on Ohloh : Contributors Listing Page". Ohloh.net. Retrieved 2014-01-17. ^ a b c Krzysztof Kowalczyk. "Sumatra PDF - A PDF Viewer for Windows". Retrieved 2008-02-19. ^ Alan Henry (2007-08-11). "Sumatra PDF Viewer: Fast and Simple PDF Reading". AppScout. ^ a b c Kowalczyk, Krzysztof (May 2008). "Sumatra PDF - A PDF Viewer for Windows - Version history". Retrieved 2008-07-14. ^ Kowalczyk, Krzysztof (February 2009). "Issue 461: Copy to clipboard not allowed in protected files". Retrieved 2012-09-13. ^ Kowalczyk, Krzysztof (September 2012). """Issue 2003: printing fails (denied) due to PDF "Denied Permissions. Retrieved 2012-09-13. ^ Kowalczyk, Krzysztof (September 2012). "Issue 1927: DRM-like features make working with documents difficult". Retrieved 2013-05-25. ^ Johnson, Adrian (May 2008). "poppler Printing with poppler on Windows". Retrieved 2009-11-29. ^ Kowalczyk, Krzysztof (October 2008). "Issue 378: mass memory needed for printing any pdf document". Retrieved 2009-11-29. ^ Krzysztof Kowalczyk. "Translators". Sumatra PDF - A PDF Viewer for Windows. Retrieved 2007-10-29. ^ "SumatraPDF-2.4-source.zip - sumatrapdf - SumatraPDF 2.4 source code - PDF, EPUB, MOBI, CHM, XPS, DjVu, CBZ and CBR viewer for Windows - Google Project Hosting". Code.google.com. 2013-10-02. Retrieved 2014-01-17. ^ Krzysztof Kowalczyk. "Download SumatraPDF". Retrieved 2011-02-07. ^ "WhyNo64bitBuilds - sumatrapdf - Why we don't provide 64bit builds. - PDF, CHM, XPS, DjVu, CBZ and CBR viewer for Windows - Google Project Hosting". Code.google.com. 2012-02-23. Retrieved 2012-09-13. ^ "XhmikosR's Builds". Xhmikosr.1f0.de. 2014-01-14. Retrieved 2014-02-12. ^ "Sumatra PDF Reader forum". Forums.fofou.org. Retrieved 2014-02-12. ^ a b "Provide 64bit builds". GitHub. Retrieved 2015-10-31. ^ Mohammad shafie; Krzysztof Kowalczyk, TJS (2007-07-03). "Source Code". Sumatra PDF Viewer forum. Retrieved 2008-02-13. ^ "Download Source". SumatraPDF Developers. Retrieved 2011-02-07. ^ "sumatrapdf - PDF, CHM, XPS, DjVu, CBZ and CBR viewer for Windows - Google Project Hosting". Code.google.com. Retrieved 2012-08-13. ^ "Google Project Hosting - Google Code". Code.google.com. Retrieved 2012-08-13. ^ Krzysztof Kowalczyk. "SumatraPDF 0.4 released". Retrieved Feb 20, 2007. ^ Lars Wohlfahrt. "Sumatra PDF German". Retrieved Jun 30, 2007. ^ Krzysztof Kowalczyk (2008-02-21). "Name of Application". Sumatra PDF Viewer forum. Retrieved 2008-02-21. ^ a b Gina Trapani (2007-08-09). "Open PDF's in a flash with Sumatra". ^ Anders Ingeman Rasmussen (2008). "Sumatra PDF 0.8". Open Source Alternatives. Retrieved 2008-02-21. Sumatra PDF is a fairly young project aiming to create a small, simple and fast PDF viewer. 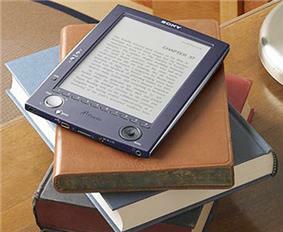 It main features are showing PDFs and starting up really fast - and it does both just perfectly. ^ Kowalczyk, Krzysztof (October 2014). "Sumatra PDF - A PDF Viewer for Windows - Version history". Retrieved 2014-10-21.